Superintendent Dr. Doug Domene presented two “You Are The Advantage” awards at the Board of Education meeting on Tuesday, June 21. 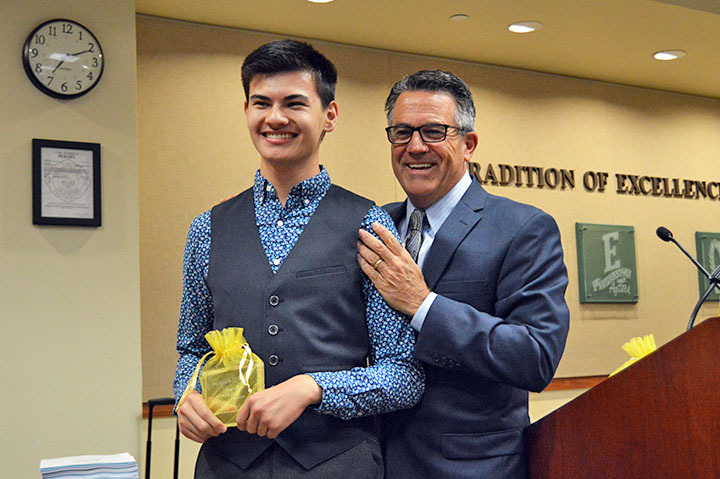 The first was given to recent Valencia High School graduate Kyle Gabriel who was selected as the Orange County Register 2016 Vocal Music Artist of the Year in May. Kyle is a member of the VHS vocal jazz ensemble under the direction of Megan Arthurton, and will continue his study of music at California State University, Long Beach. 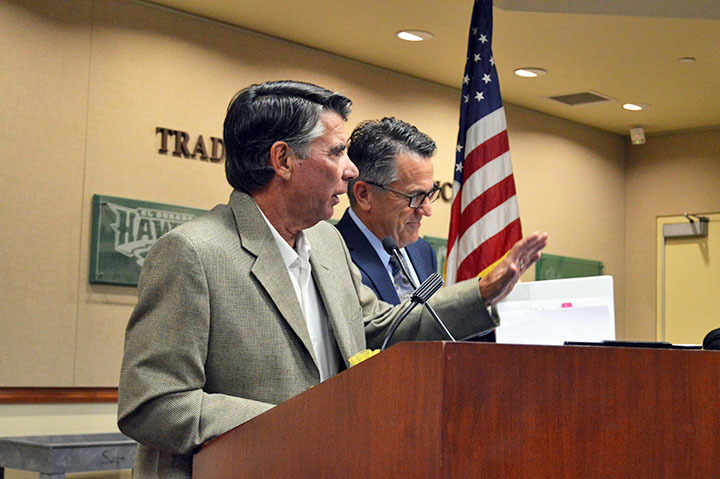 The second award honored retiring Esperanza High School baseball coach Mike Curran. Mike coached baseball for 41 years, and is the second winningest coach in Orange County history. The Aztecs won three CIF championships under Mike’s leadership, and made the finals seven times. In 1986, his baseball team was No. 1 in the nation. Congratulations to these two individuals for this well-deserved honor. Congratulations to both men for earning this distinction. Be the first to comment on "Valencia music star, retiring Esperanza baseball coach receive “You Are The Advantage” awards"